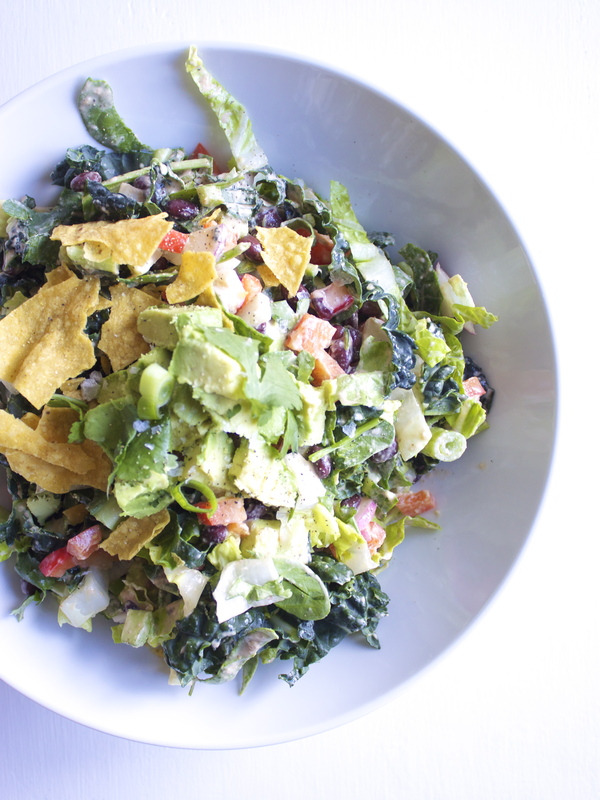 I love a zesty taco salad, but often find they’re a little light on the greens. And I do mean that literally—they don’t always have a lot of the dark, hearty greens I tend to crave when I’m making a salad a meal. 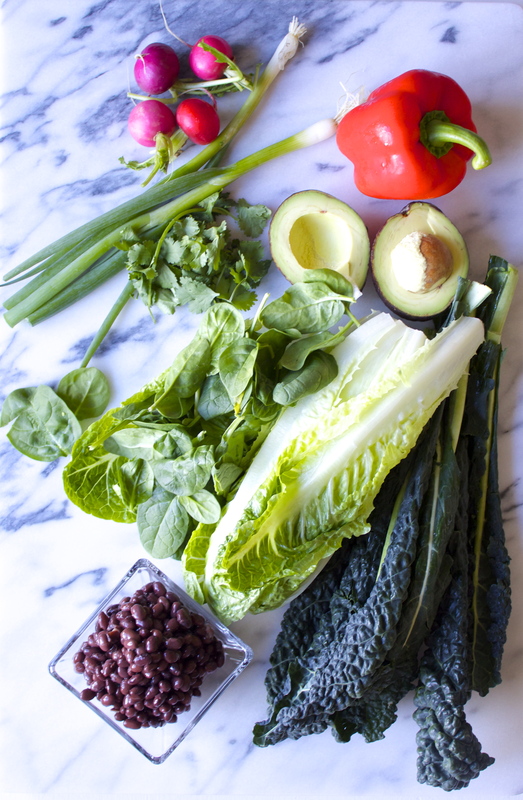 So this recipe incorporates all the usual suspects—bell peppers, onion, avocado, etc.—but, it’s all tossed with a combination of romaine, dino kale, and spinach for some serious green umph! Along with my Black Bean Taco Soup, this is one of my go-to recipes on nights when I don’t feel like cooking. It just requires some chopping and a vegan dressing that you’ll want to make ahead of time (though with a powerful blender, you may not need to take the two hours to soak the cashews the recipe calls for). This is the perfect salad for spring—colorful and vibrant! Serve it as a side for 4 to 6 people, or it as a meal for two. 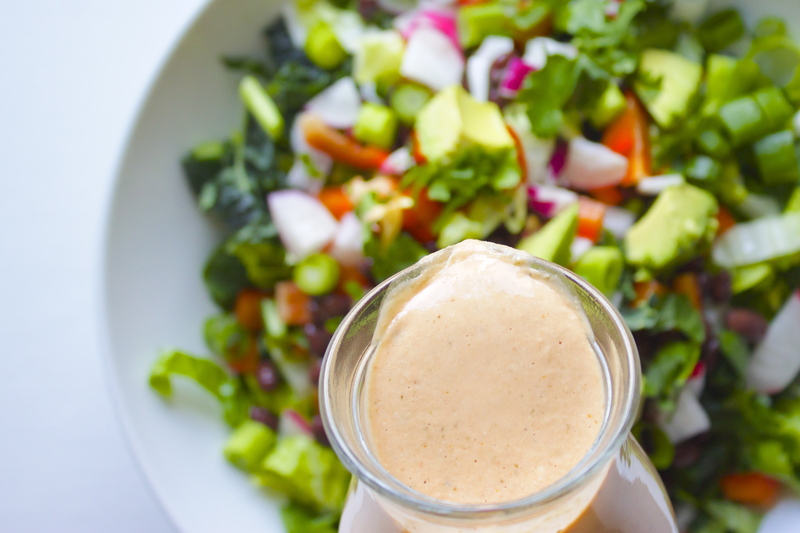 *Just a heads up on timing: this dressing calls for you to soak the cashews for 1 to 2 hours. 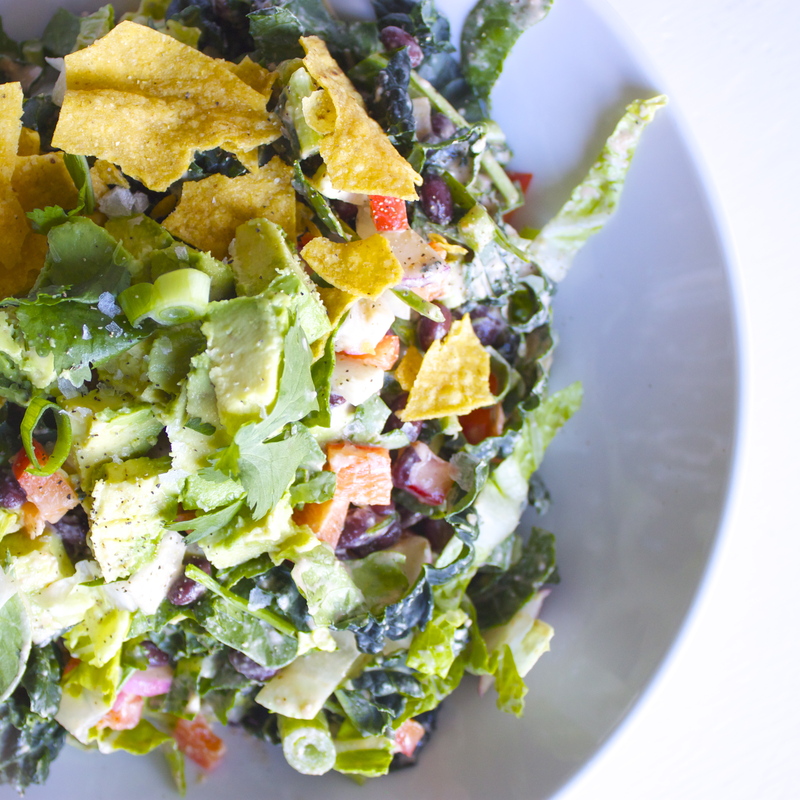 In large mixing bowl, toss together the chopped veggies, black beans, and dressing. Garnish with chopped avocado and crumbled tortilla chips if you like.